What sparked this was an article I ran across online on the Charleston Daily Mail website “Hechler ready for rough terrain”. Here are a few quotes off that particular article of Hechler’s Jeep campaigning jingles. 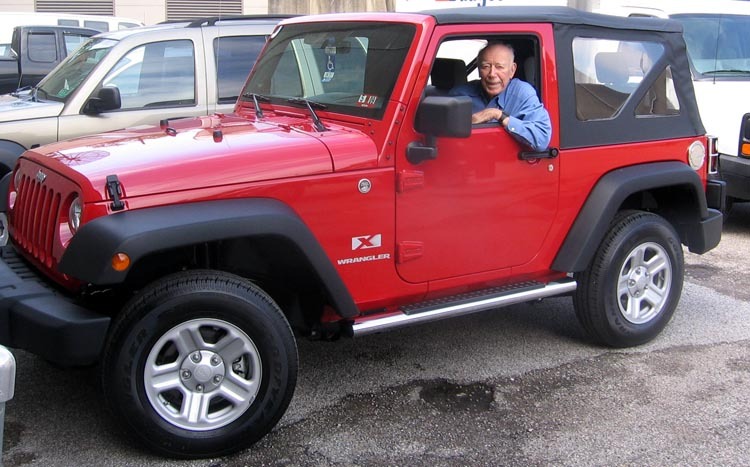 Hechler is on his sixth Jeep since making the initial purchase back in 1960. As a West Virginian it’s nice to see some light shined on Mr. Hechler. His love of Jeeps is well known. Although I don’t intend to vote for the man, I admire his spirit and wish him health and happiness. Sounds like a smart man to me. I’d probably vote for him, knowing no more than what’s in this article. Good people own Jeeps! It figures he’d drive a red Jeep. They demand more attention and I’m sure that was part of the plan. At least the guy has great taste when it comes to his wheels. I’d want to know a bit more about his politics but owning the Jeep is a good start!